By Bertolt Brecht and Kurt Weill. Directed by Taree Chadwick. Musical direction by Phil Caldwell. 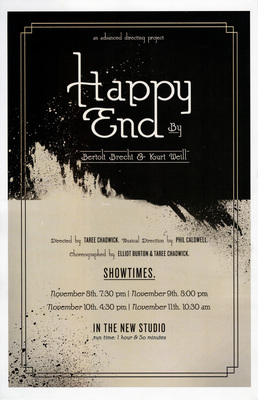 Choreography by Elliot Burton and Taree Chadwick. New Studio Theater.